This Lancaster Table & Seating 30" x 60" laminated rectangular table top is reversible, with a cherry finish on one side and a black finish on the other, for excellent versatility. With two finish options, you'll have double the applications of a similar one-sided unit, allowing you to better match your decor. 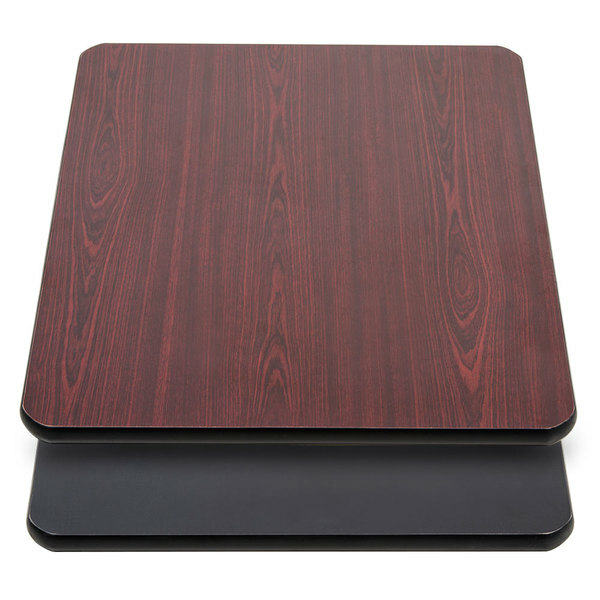 In addition to its versatility, this laminated table top features a black vinyl molding around the edges to guard against chipping and scuffing, making it perfect for your pizza shop, cafeteria, sandwich shop, or other casual, high volume eatery. Table bases and mounting screws are required for assembly and are sold separately. This 30" x 60" table top requires 2 bases.